The maximum legal weight for a fully loaded 18-wheeler (semi, tractor-trailer, rigs or trucks) is 80,000 pounds. By comparison, the average passenger vehicle weighs 5,000 pounds. Although a big rig may have 18 wheels, it only has 10 brakes! The length of time it takes a loaded 18-wheeler to stop is 40% greater than that of a passenger car. And, that is assuming the truck is not overloaded and has been properly maintained. The Federal Motor Carrier Act is a special body of laws that place limits on the maximum load a truck can carry, the maximum number of hours a truck driver can drive without rest, and strict requirements regarding maintenance and inspection of trucks for safety. An article appearing in the Birmingham News reported that nearly one out of every three trucks or drivers checked by Alabama troopers had at least one safety problem so severe that officers wouldn’t let the truck or driver back on the road until the problem was fixed. Unfortunately, greed causes some owners and operators to violate these laws by overloading trucks, driving in excess of the hours permitted by law or by failing to maintain trucks in a safe condition. In fact, the National Highway Transportation Safety Administration reports that driver fatigue is responsible for nearly one-third of the accidents involving 18-wheelers. The trucking industry frequently lobbies our federal government to raise the weight limits of loads or to increase the number of hours that a truck driver can drive without mandatory rest stops. The larger trucks get, the harder they are to control, the longer they take to stop and the more dangerous they become to other motorists using the roadways. If you or a family member has been injured in a trucking accident, you need a lawyer that understands the unique laws that apply to the industry. Critical discovery includes a thorough investigation to determine the specific cause of the accident; review compliance of trucking regulations including driver’s logs, maintenance schedules; and documentation of the loads carried. A study by the Federal Motor Carrier Administration has identified nearly 1,000 factors that could cause a truck wreck. Narrowing down these factors, determining the specific cause of an accident and firmly establishing liability is difficult and time consuming. In many cases, trucking companies have their investigators or adjusters on scene within hours of an accident. Who is working in your corner? Many trucking accident victims believe that they can’t afford to fight for what is right because the other side will have deep pockets and can quickly outspend them. But, you don’t need a large bank account. 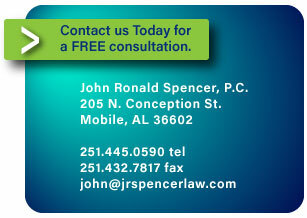 Just an experienced attorney in your corner to fight for you. In most cases we can represent you on a “contingency” basis, which means you’ll only pay a legal fee if we make a recovery for you. If we don’t get results in your favor (through a cash settlement or a jury verdict) you don’t owe us a fee for our services.